Posted: Sun Apr 14, 2019 1:45 pm Post subject: Yashinon 5cm f2 and Pentax crop DSLR mirror hit? 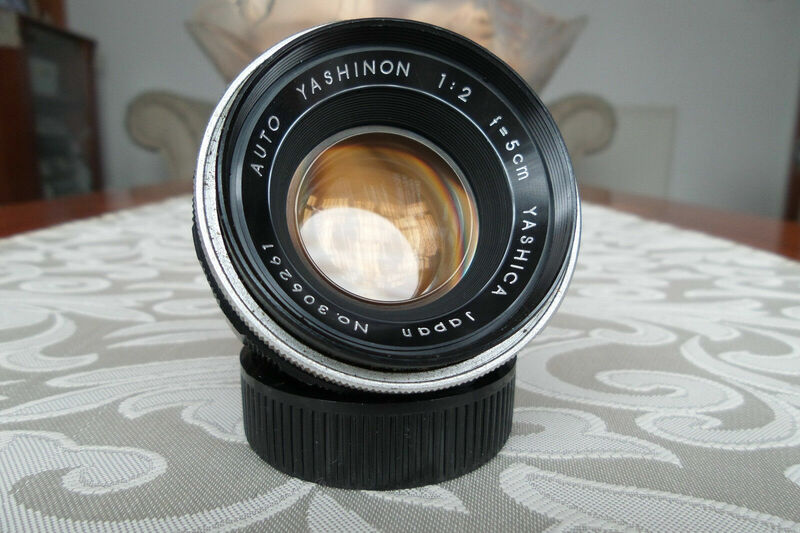 What do you think, would a Yashinon 5cm f2 (Tomioka) lens be safe to use with a Pentax crop sensor DSLR? I'm wondering if the mirror will hit the rear element or something sticking out. My M42-to-K adapter will allow focusing to infinity. 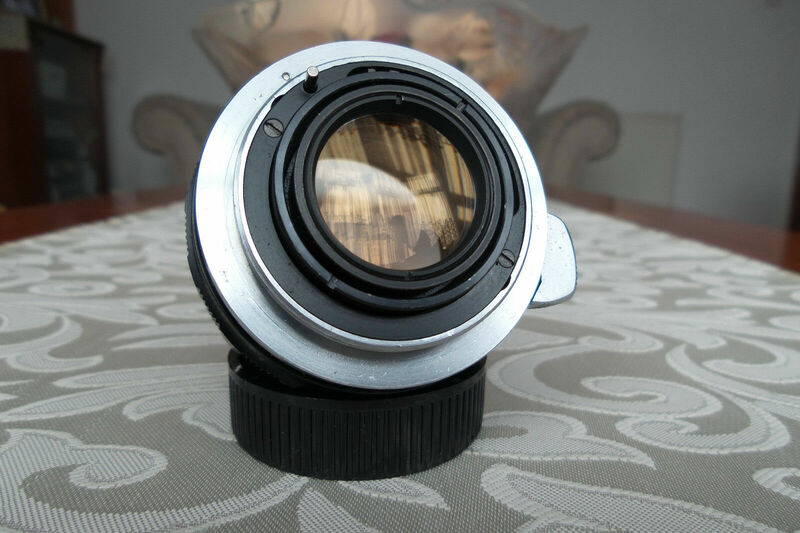 Posted: Sun Apr 14, 2019 2:16 pm Post subject: Re: Yashinon 5cm f2 and Pentax DSLR mirror hit? I use Pentax DSLR's, including one body with an Asahi PK-M42 adaptor permanently fitted, and would have no reservation about fitting this lens to my camera. The M42 "standard" was widely adopted in it's day and the Pentax DSLR's retain the same flange-to-sensor distance as the earlier film cameras. Problems may arise with some other manufacturers' cameras that were never designed to be backward compatible to M42, but this is not the case with Pentax. Posted: Sun Apr 14, 2019 2:52 pm Post subject: Re: Yashinon 5cm f2 and Pentax DSLR mirror hit? Yes, Asahi Pentax really did a marvelous thing there and I wouldn't have any doubt when adapting Takumar M42 lenses to K-mount Pentax cameras. But I'm not sure about other manufacturers' lenses. Posted: Sun Apr 14, 2019 2:56 pm Post subject: Re: Yashinon 5cm f2 and Pentax DSLR mirror hit? It protrudes back quite a bit, eyeballing it I'd say by more than 1mm compared to Tak 50/1.4. It could be close. But you'll have to try it yourself - the rear element is protected anyway. Posted: Sun Apr 14, 2019 9:06 pm Post subject: Re: Yashinon 5cm f2 and Pentax DSLR mirror hit? The mirror in an APS-C Pentax DSLR is somewhat smaller than that in a Pentax film SLR, it can't possibly interfere. The only current Pentax camera I would have any reservations about would be a full-frame model, even then I'd be very surprised if there were any issues with an M42 lens originally designed for a film camera, the mechanical specifications simply don't allow there to be a problem! Posted: Sun Apr 14, 2019 10:38 pm Post subject: Re: Yashinon 5cm f2 and Pentax DSLR mirror hit? Unless the lens sticks out significantly toward the film plane from the mount, I wouldn't worry about it. Wide angle lenses are usually the ones to worry about. From your posted pic, I wouldn't hesitate to mount it.